It’s funnel cake time with this deluxe high-output fryer! 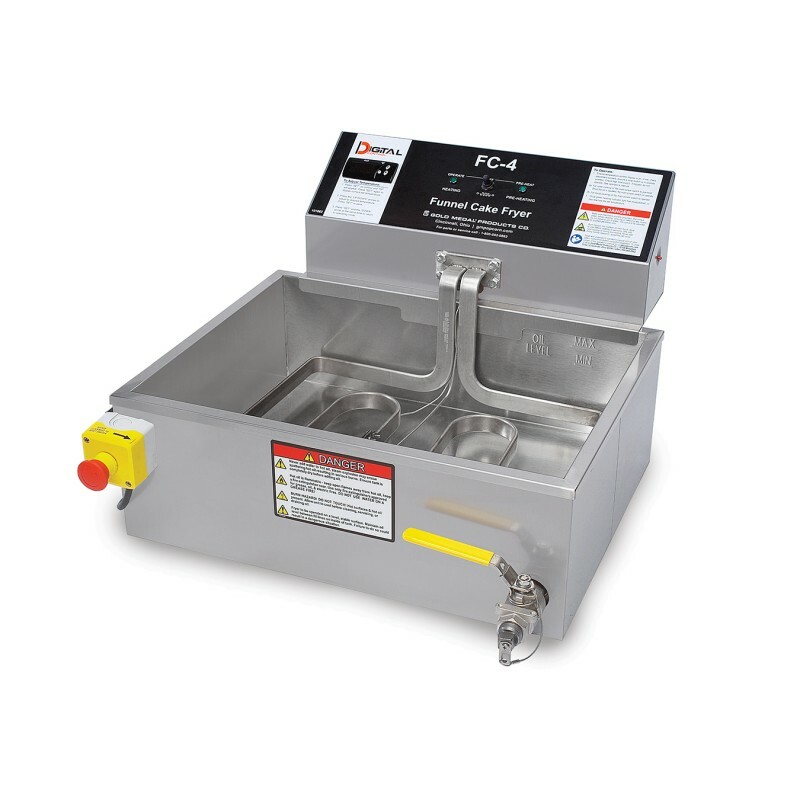 The master of multiples, this ribbon element fryer features more heating contact for quicker recovery and even heating, turning out four 8″ or six 6″ funnel cakes at a time. 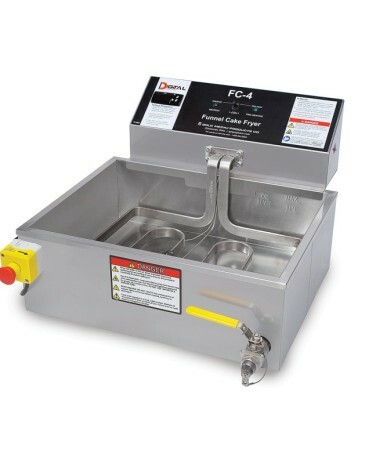 With an increased oil capacity of 50 lb., remote power switch and a safe oil-preheat function, this model works at maximum volume with minimal power.